We were due to head towards Maputo for the night however because there is a large sport event and the crowds and traffic are due to be manic this weekend, we have decided to skip Maputo altogether and head for Nelspruit for the night instead. We left Inhambane at 6.30am because we had a 100km stretch of dirt road which turned out to be good fun as we had not encountered much of it on this trip. We managed to get to the Mozambique RSA border at about 3pm and cross into our homeland without much event or delay at the border or customs. 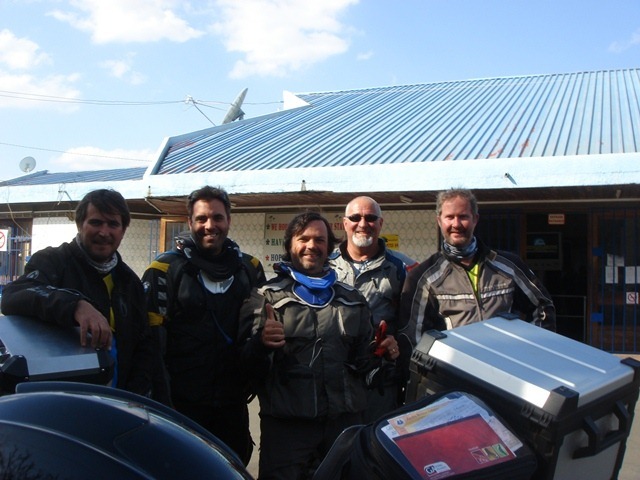 The first thing that is immediatelly noticeable is just how different RSA is from the rest of Africa and Southern Africa. Streets are in good shape, towns, cities and agriculture is organised and there is just a general sense of organised progress and prosperity, its no wonder the rest of Africa perceive this place to be the land of milk and honey! Its great to be home. Tonight we are spending the evening at the City lodge in Nelspruit and having dinner with my sister who I havent seen in toolong. 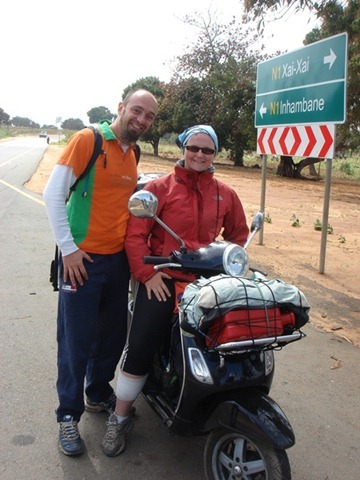 European couple touring Southern Africa on a Vespa!!! So much for the need for Adventure Bikes! Back in the RSA at last! !